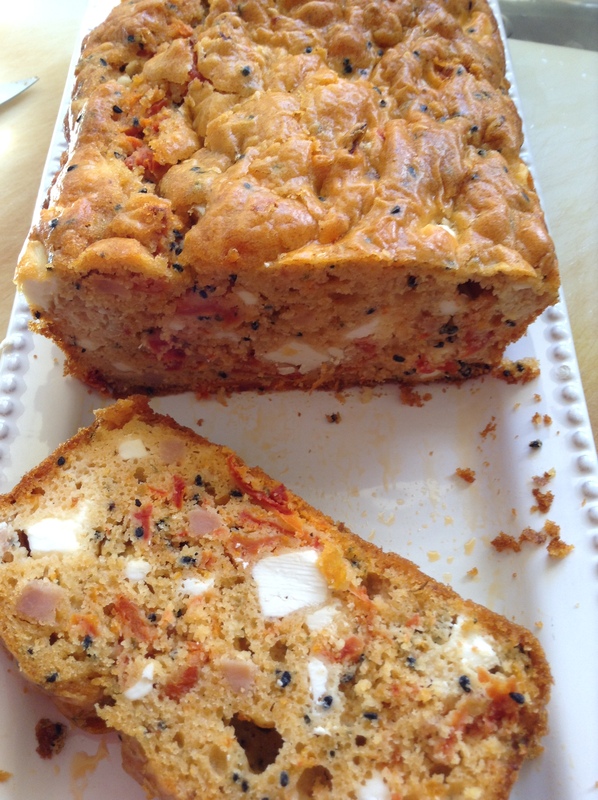 SATURDAY COOKING: TOMATO, FETA AND NIGELLA SEEDS CAKE. I found this recipe in a French magazine. Savoury cakes (cakes salés) are very popular in France. And this is DELICIOUS! I have made it since using artichokes. Preheat the oven to 180°C/ 160°C fan-forced. Beat the eggs with the milk and olive oil. Combine the flour and baking powder. Pour the egg/ milk/ oil mixture into the flour and mix until smooth. Add the feta, tomatoes, bacon and nigella seeds to the batter. Season with pepper (don’t add salt, the feta and bacon will be enough). Pour the mixture in a greased and lined loaf tin. Cook 1hr. Nothing to add really! Get baking!